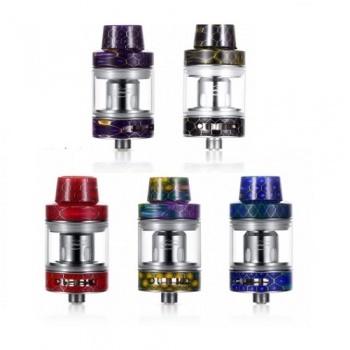 The new, revolutionary Avatar Nano Mesh Tank created by Vapeston is without doubt a bold step into the future of the Vaping world. The Tank is beautifully designed and aesthetically pleasing with its refreshing look, constructed from a variety of colorful Cobra styled resins, is a long awaited, new lease of life that the sub ohm genre needed. A near dripper quality vaping experience is testament to the superbly crafted Avatar NX1 Mesh Coils that effortlessly deliver a smooth flavorsome Vape between 40 and 90 Watts. The Tank boasts a user friendly top filling system and fully adjustable Bottom Airflow enabling you to customize your Vape, whatever your style. Additionally, there is a Bubble replacement Glass tube and Bubble Resin Tube available to increases the E Liquid capacity to 4.5ml (sold separately).